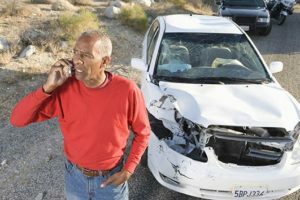 If you or any of your loved one(s) ever get involved in an auto accident anywhere in Palmdale, CA, your best bet to full compensation for your distress is an experienced auto accident attorney. The difference between the success and failure of your case may just be the reliability and timely intervention of the accident lawyer. For an accident that happens in Palmdale, you can get the prompt attention of our standby team of attorneys from Rawa Law Group. Rawa Law Group is a superior legal agency that has acquired more than 55 years of combined legal experience and also boasts of a highly skilled and cooperative team of auto accident attorneys in Palmdale, CA. Our services are provided by some of the top personal injury lawyers in California. We pay special attention to you and we offer you one-on-one meeting with any of our attorneys and at a time that is most convenient for you. Furthermore, if you are in so much pain and cannot make it to our office, a lawyer can meet you up at your place or at the hospital. Rawa Law Group is a credible firm that has helped accident victims who hired its services in recovering hundreds of millions in the past and this is only possible because of our relentless and tireless advocacy for the injured. One of our strong points is that we offer a free consultation and you do not have to pay us until your case is won. We can help you maximize your accident claims settlement. To hire an experienced auto accident attorney in Palmdale, CA, reach us via the address below.